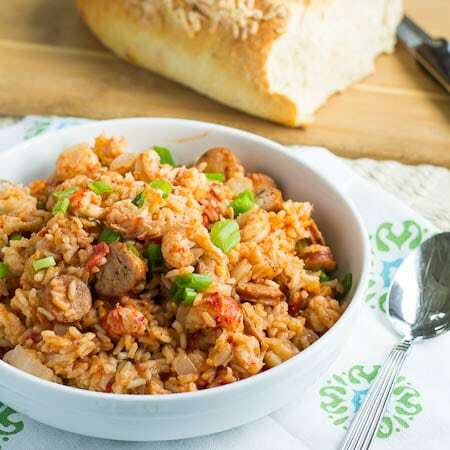 Crawfish are one of the most popular foods in Louisiana and I became accustomed to eating them when I lived in New Orleans. Not everyone outside of Louisiana is a fan of mudbugs though. They’re definitely an acquired taste for most people. One that’s best acquired with the help of lots of cold beer. We are just coming into the peak months of Louisiana Crawfish Season- March, April, and May. 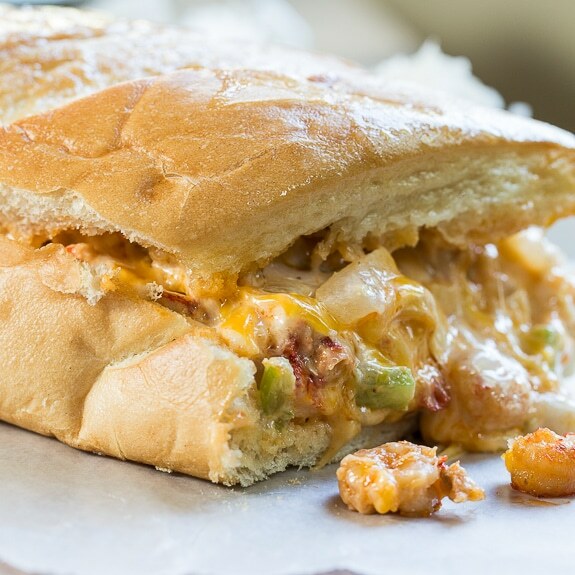 The most popular way to eat crawfish in Louisiana is the Crawfish Boil, much like the SC Lowcountry Shrimp Boil. But crawfish are delicious in so many dishes, including this cream cheese crawfish spread. The pickled okra is another ingredient in this recipe that is an acquired taste. People either love it or hate it. I’m not sure how well-known pickled okra is outside of the south and you can easily leave it out of the recipe. If you’d like to try pickled okra, but can’t find it at your market, you can purchase Old South Mild Pickled Okra online. 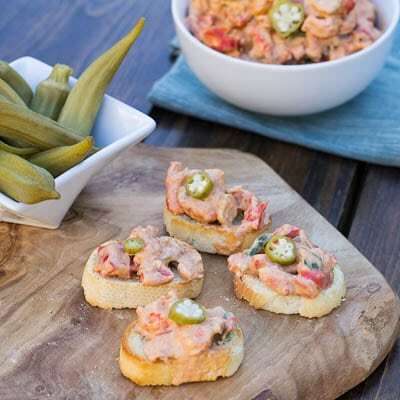 Creamy Crawfish Spread with pickled okra. Serve it on toasted baguette slices for a fabulous southern appetizer. Heat butter in a large nonstick skillet over medium-high heat. Add bell pepper and onion and saute until softened, 3 to 4 minutes. Add garlic and cajun seasoning and saute for 1 minute. Stir in tabasco and crawfish tails. Cook 2-3 minutes to thoroughly warm the crawfish. Turn heat down to medium-low and add cream cheese and Parmesan cheese. Stir until cheeses are melted and everything is combined well. Remove from heat and stir in green onions and pickled okra. 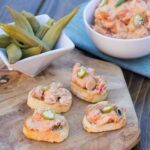 This entry was posted in Appetizers and tagged appetizers, Cajun, crawfish, dips and spreads, Mardi Gras. Bookmark the permalink.